One limitation of the first 100 greatest climbs was missing data on average gradient and maximum gradient. This has been added for the Tour de France climbs, with handy, easy to access data on length, max gradient, and average gradient. This gives you all the info you need to know to get a rough idea of the climb. I find the short descriptions of the climb quite engaging and always interesting. In some sense, I could read a lot more about each climb. But, as a short reference book, this makes a nice combination of the different factors. The photos are very good. They just say came and ride me. Reading the book, I’m torn between admiring the beauty of the climb and wishing I lived at the foot of the Col du Telegraph. I’m biased because I like nothing more than riding up hills. But I know this is a book I will frequently refer to – especially if I ever make it to France to actually ride them. Simon Warren definitely found a good niche for a series of reference books on cycling up hills. I think the success of the first three volumes says a lot about the appeal of these pocket books. 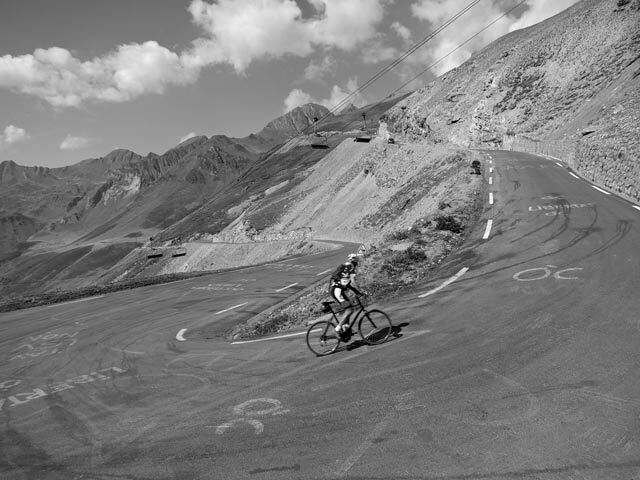 In one sense, I prefer the UK books because I’ve got to ride a fair number of the climbs. 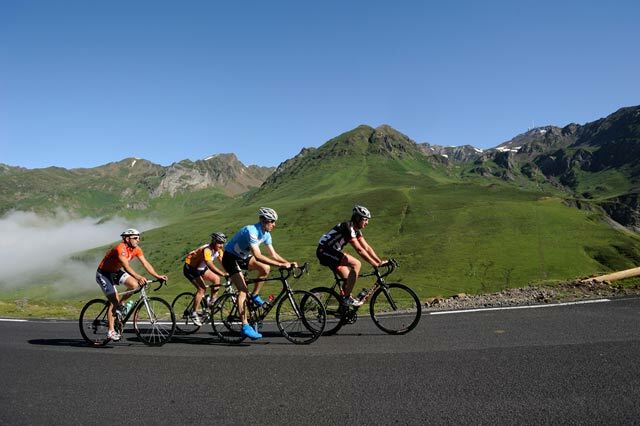 But, though I haven’t done any in France, the climbs of the Tour de France are the real giants of cycling. They are amongst the greatest climbs in the world; and I’m sure as I watch the Tour de France on tv this year I will be reading this book quite often. It may even be the nudge I need to book Eurostar to the south of France and see what I can do up these Alpine climbs. Thanks very much Tejvan! You NEED to get down to the mountains, they were built for you. Nothing beats a sunny day in the Pyrenees, nothing! Thanks. I agree the Pyrenees is calling.